If you are wanting to get divorced then the easier way of doing this is to avoid litigation and to ensure that you can complete a divorce agreement in Thailand with your Thai wife in Thailand. This agreement is best drafted by a lawyer in Thailand to ensure that it would not be rejected when submitted for the divorce. This also ensure that there are no issue which may raise its head later. Speak to us now! See our main website for more details on divorce in Thailand and how best to get divorced in Thailand with lower cost and effort. Speak to us online! Who gets the which property? who pays which liabilities/debts that you have? Do you want your wife to get monthly maintenance for herself? Monthly maintenance for the child/children? Going home – are the child/children allowed to visit you? Who pays for medical/travel/schooling for the child/children? These are always in a divorce agreement as the agreement will be applicable until such time that the child/children are 21 years old. 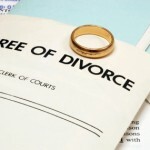 Speak to our divorce lawyers in Thailand today!